Pioneers in the industry, we offer bending operations, plate fabrication service, heavy duty fabrication service, stainless steel fabrication service, mild steel fabrication service and storage tanks fabrication service from India. We offer to our clients a wide range of Plate Fabrication Service that is fabricated using quality stainless steel and carbon steel. True to their name, these plates are fabricated from the best quality metal and are round in their shapes. The quality of the raw materials used is the best and second to none. We are the leading manufacturer and supplier of Plate Fabrication Service in Tamilnadu, Kerala, Coimbatore, Tirupur, Karur, Salem, Chennai etc. 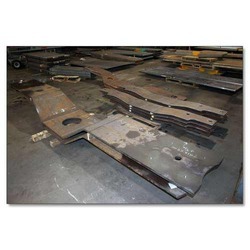 We are the distinguished manufacturer of a wide array of Heavy Duty Fabrication Service. 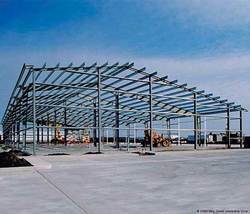 Our expertise in the domain makes possible for us to deal with industrial structures, base frames as well as support structures. 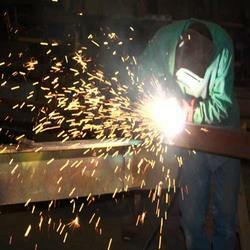 We undertake contractual jobs for exports and Indian manufacturers in fabrication. Our product is available as per the industry standards and recommended in various industries. Note: We are the leading manufacturer and supplier of Heavy Duty Fabrication Service in Tamilnadu, Kerala, Coimbatore, Tirupur, Karur, Salem, Chennai etc. Emerging as a prominent name in the industry, we are manufacturing a comprehensive range of Stainless Steel Fabrication Service. These are made by high-quality raw material which is procured from reliable vendors. These are available in different dimensions, shapes, and designs suitable to the clients’ requirements. Due to its oversized nature, they are difficult to transport, hence on-site fabrication is done. We are the leading manufacturer and supplier of Stainless Steel Fabrication Service in Tamilnadu, Kerala, Coimbatore, Tirupur, Karur, Salem, Chennai etc. Mild Steel Fabrication Service done by us is of great use in construction and many other industries. These are fabricated using quality material and are durable, reliable and corrosion and abrasion resistant. We adopt the client-centric approach for our services so that we can understand the exact needs of our customers. We are the leading manufacturer and supplier of Mild Steel Fabrication Service in Tamilnadu, Kerala, Coimbatore, Tirupur, Karur, Salem, Chennai etc. Our organization is counted among the distinguished manufacturers and suppliers of an extensive range of Storage Tanks Fabrication Service. 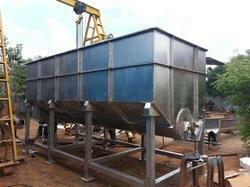 Our array of the storage tank is fabricated using quality raw material to meet the fabrication codes. These Stainless Steel Storage Tanks are available in mesmerizing ranges and sturdy construction. These are fabricated by using stainless steel that makes them highly corrosion resistant. We are the leading manufacturer and supplier of Storage Tanks Fabrication Service in Tamilnadu, Kerala, Coimbatore, Tirupur, Karur, Salem, Chennai etc. 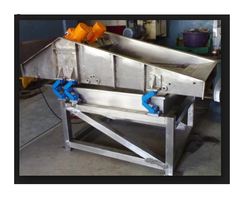 We are a leading name in the domain of manufacturing a wide array of Stainless Steel Sheet Metal Fabrication Service. 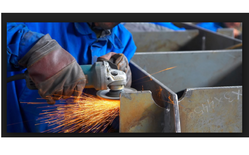 Stainless Steel Sheet Metal Fabrication is used in multiple industries for their particular industrial applications. Our manufacturers make use of premium quality Stainless Steel Sheet Metal Fabrication these products in accordance with international quality standards. We are the leading manufacturer and supplier of Stainless Steel Sheet Metal Fabrication Service in Tamilnadu, Kerala, Coimbatore, Tirupur, Karur, Salem, Chennai etc. 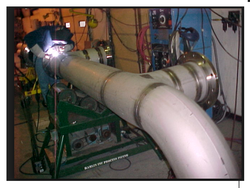 We are one of the trusted organizations, known for manufacturing Pipe Fabrication Service. This range is designed in customized grades and technical specifications. These pipes have a high tensile and creep-rupture properties even at a higher temperature. These are used to flow steam, water, oil and various petrochemicals substance in various petrochemical and chemical industries. We are a trusted manufacturer and supplier of a wide range of high-quality Structural Fabrication Service. All these products are extremely rigid in state and ensure longer functional life. Keeping in mind the varied requirements our professionals prepare designs accordingly as per the latest trends. We select raw materials after quality checks to ensure durability, high strength, and optimum output. 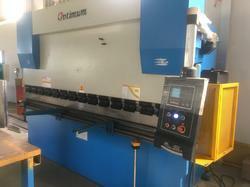 We are engaged in manufacturing a wide range of Sheet Metal Fabrication Service.These are manufactured using quality raw material like steel, aluminum, ferrous alloys, non-ferrous alloys and other metals. Further, we provide these products as per the set industrial norms and in adherence to international quality standards. These materials are sourced from the trusted vendors of the industry. We are the leading manufacturer and supplier of Sheet Metal Fabrication Service in Tamilnadu, Kerala, Coimbatore, Tirupur, Karur, Salem, Chennai etc.